On December 13, 2013, the showroom of Wheel Gallery in Greenhills, San Juan, was completely destroyed by fire. The company is the distributor of the popular Concept One brand of wheels as well as many other wheel and tire brands (Black Rhino, BBS, Carlsson, Kelleners Sport, TSW, Nitto and Saffiro). The conflagration was caused by an acetylene tank leak. The extent of damage was such that we were expecting the shop to be closed for a long time. We were wrong. The photos you now see here are actual images taken from the refurbished wheel-and-tire showroom. Yep, Wheel Gallery is now open for business once more--less than two months after the misfortune. 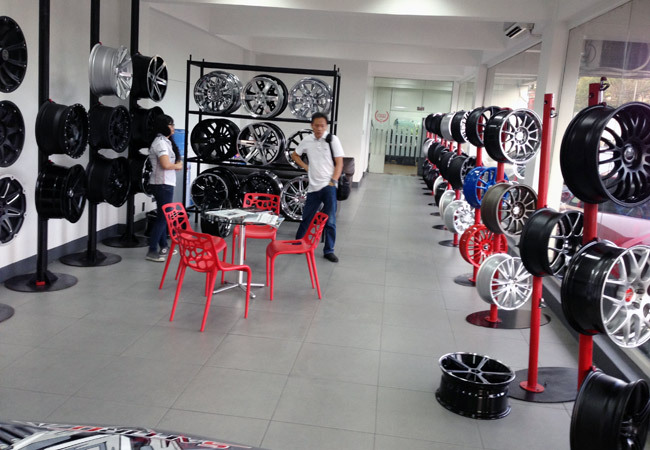 "We restored our showroom starting January 2," Wheel Gallery managing partner Sam Liuson told TopGear.com.ph. "The contractor worked on cleaning, painting and restoring our facilities, although there are parts that are still inoperable. We reopened third week of January and are having an in-house introductory promo for our latest offering to the market: Saffiro Tires. 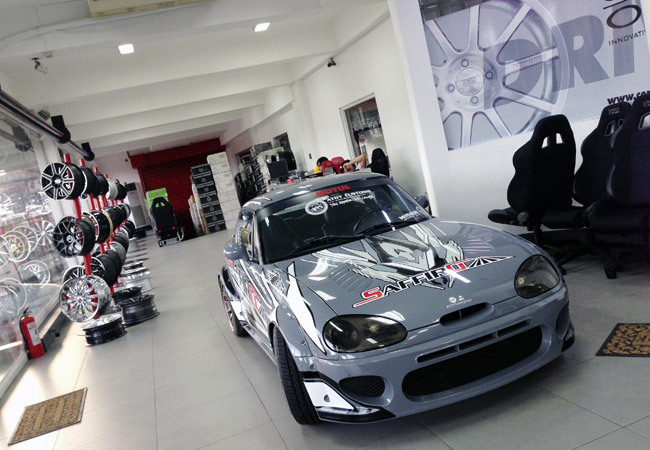 This line is to complement our range of tire products. We now have stock sizes for the Vios, the Altis, the Starex and the Innova. We're also offering truck and bus tires." Liuson added that "new designs of BBS, Carlsson (Mercedes-Benz) and Kelleners Sport (BMW) aftermarket wheels are coming in soon." According to Liuson, the new showroom was "decorated in coordination with artist Reg Yuson." Wheel Gallery is now open from Mondays to Saturdays, 9am to 6pm.